Prices for commercial real estate may have leveled off, according to recently released data from Moody’s and Real Capital Analytics. Does this data mean the real estate cycle is ending? Will prices start to decline soon? If so, when? Or is this just a breather, before prices rise even more? Either way, it’s definitely a good time to start thinking about how to protect yourself if the real estate market really is at or near its peak. The obvious way is to sit on the sidelines, not buying anything until it’s clear the market has bottomed out. But when, exactly, will that be? We’re still not even sure that the current cycle has ended. Do you want assets sitting around earning little or no return until the market reaches bottom and the next “buying opportunity” occurs? If you can’t sit on investible funds and wait it out, what do you do? You avoid short-term appreciation-focused strategies that require you to time the market. You focus instead on long-term cash-flow-focused investments. In other words, you avoid strategies like ground-up development or major rehabbing and repositioning that require you to sell or refinance in what could be dramatically worse market conditions. Instead, you focus on acquiring assets whose in-place cash flow will permit you to ride out the end of this cycle and sell at an advantageous point in the next one. Shouldn’t I Buy At the Bottom of the Market? Won’t I Lose Money Buying At the Top? And, yes, if the market declines, asset values will decline and you’ll suffer unrealized losses on your assets. But, as long as you don’t sell, those losses will never be realized. They will be made up in the next upswing. And, in the meantime, you will be earning returns on your money from the property’s cash flow. Are Cash-Flowing Assets Really A Recession Hedge? 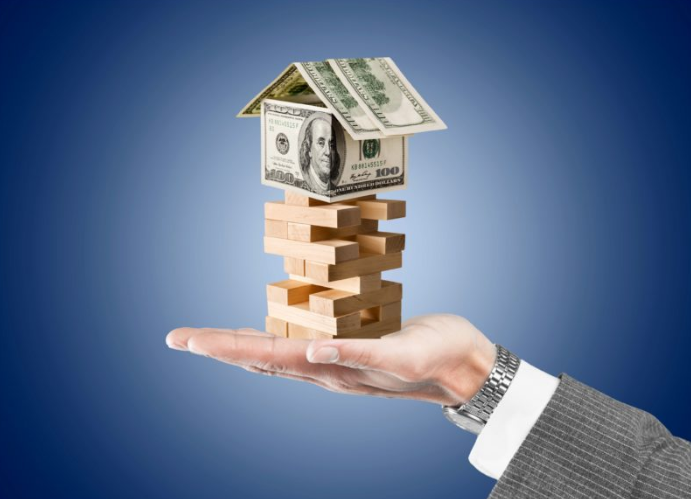 In 2012, JP Morgan Asset Management published a study, entitled “Real Estate: Alternative No More,” which proves the point that cash-flowing assets can help you ride out a downturn in the market. The study covered the years 1977 to 2012, encompassing the worst of the Great Recession. Focusing on the worst 20 quarters for real estate during that span, the authors found that $100 invested in directly in real estate would have grown to $110 over a five-year hold, primarily because of the cash flow real estate generates. (By comparison, $100 invested in a portfolio of 60% stocks and 40% bonds during the 20 worst quarters for securities in the period would have declined to $94). Indeed, the authors found that there were only two periods in 34 years where asset price declines were so strong that they overcame the effect of current yield and resulted in overall negative returns. But before you decide everything’s fine and jump with both feet into a new cash-flowing real estate deal, you should consider a few more pieces of information: the state of the economy, the characteristics of different types of real estate, and rental supply and demand. Fortunately, as the JP Morgan study points out, the real estate market is not strongly correlated with other investments, like the stock market, which are more directly tied to the state of the economy. But the state of the economy, particularly the local economy, is still important. Rents have to get paid. In a bad economy, that’s more difficult. Right now, there is little indication that the economy heading for a recession soon, although many people think one will hit in the next three years. So, for the time being at least, rental properties should continue to generate good cash flow, even if the commercial real estate market runs out of steam. But, assuming a recession hits soon after you buy, what assets offer the most protection? Businesses disappear during recessions. Business-dependent assets like office, retail, and industrial could be hit. So could hotels, which depend on discretionary business and personal travel, which gets the axe during recessions. People, however, are different. They don’t disappear when the economy tanks. They still must live somewhere. And, as we saw during the Great Recession and its aftermath, a bad economy may actually cause more people to rent, as they become unable to buy homes, reluctant to buy homes, or lose their homes to foreclosure. Multifamily real estate has performed quite well since the recession, with occupancy and rents steadily rising since then. One final consideration is supply and demand for multifamily rentals. Although construction of multifamily rentals has boomed in the last 2-3 years, new construction all but stopped during the Great Recession. As a result, overall construction has lagged behind population growth. It may be years before construction and population growth reach an equilibrium. Drilling down further shows something remarkable: recent multifamily rental construction has been overwhelmingly in the luxury rental space. The RentCafe blog recently reported that, in 2015, 75% of all new multifamily projects of 50 units or more was luxury product. Fourteen U.S. cities saw no new affordable rentals built at all. And this trend may be accelerating — 79% of all such projects in 1Q 2016 were luxury developments. Are 75% of all new renters luxury renters? Probably not. While recent years have seen an increase in the percentage of the top 10% of earners who rent, the median renter remains a household of moderate means, making $34,000 a year. As a result, new multifamily construction is beyond the means of most renters. Based on this evidence, it seems that luxury rentals are more likely to wind up oversupplied to the market than affordable rentals, which are not being constructed in anything like the numbers necessary to keep up with population growth. It also happens that non-luxury product, especially if it is older, can be purchased at higher yields than new-build luxury rentals, which institutional buyers fight over intensely. A higher starting yield provides a bigger cushion in the event that a bad economy causes effective rents to decline temporarily. So to recap, if you are in the market to purchase real estate but are concerned that either the cycle may end soon or a recession may strike, how do you protect yourself? In my opinion, the best strategy is to purchase stabilized, well-located, high-yielding multifamily properties aimed at moderate-income renters for a long-term hold. Such a strategy is a good bet to help protect you from what’s coming down the pike sooner or later. This is a stellar recap of where we are at. What inning are we? I don’t rightly know either. * Permit me to suggest a social media share button. Your article deserves attention. Thanks, Doug. How do I do that? Can we take it offline? Nice recap on the current market. I think it was John Maynard Keynes who said a market can remain irrational longer than you can remain solvent. Yet, calling market tops and bottoms is a fools game. That being said, I was able to weather the great financial storm from 2006 to 2009 by only buying and holding cash flowing properties. It wasn’t fun, but I didn’t underwrite the deals based upon a 5 year exit, refinance, etc. Today’s investors who underwrite deals with straight line appreciation and rent growth might want to rework their numbers. The IRR looks great as a result of low cap rates, but it might blow up if we hit another downturn. Nothing worse than over promising and under delivering. Currently, I’m working on optimizing the portfolio versus aggressive buying. By upgrading current units, lowering expenses and maximizing future cash flow, you can build a strong base to acquire future properties. Buying right is critical right now. I’ve already lost 3 deals this year to investors who are willing to pay way beyond fair value. This is one tough buying market! Looking forward to the next downturn. Great! I was just thinking that most markets are due for a correction. Some markets.